Most bands we know try to come up with a name that fans will connect with and like, no matter how quirky. It isn’t often that we can find an act whose name was formed in a contest between friends to see who could come up with the worst band name. But tonight at Neumos, the band with the “worst name” is the opening act, and our recommended show of the day. 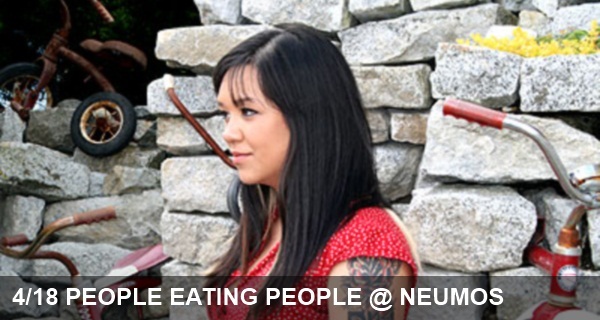 People Eating People is the solo project of former Mon Frere frontwoman, Nouela Johnston. She’s a master of piano pop, crafting assertive yet pretty tunes to which her powerful vocals are a delightful complement. People Eating People is opening for Hugo, who’s Americana cover of “99 Problems” thrust him into the spotlight. Catch them tonight at Neumos.